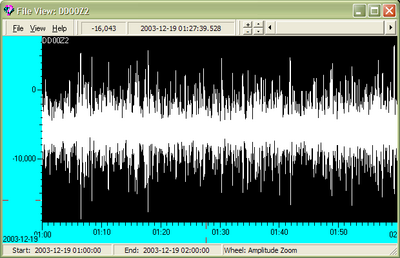 The easiest way to extract data from a GCF file is by using the “View” mode of Scream. Hold the key and the left-mouse button, then drag over the area of interest until the screen displays only the data you want. Release the key and select Save from the pop-up menu. You can save the data in any of the formats that Scream supports. It is also possible to extract data from a GCF file using GCFinfo. Install GCFinfo on your PC. Right-click on the GCF file and select View. 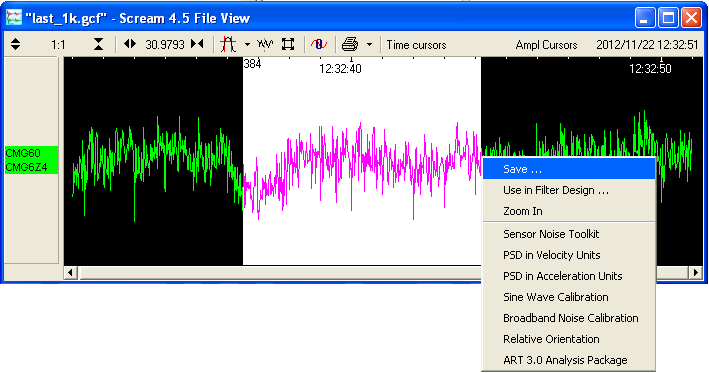 Select ViewTime Section or use the mouse to zoom in until the window displays only the data you want. Select FileSave As… and choose a name for the new file. You can also save in the other formats supported by gcfinfo, allowing quick and easy extraction of data for analysis in other applications.